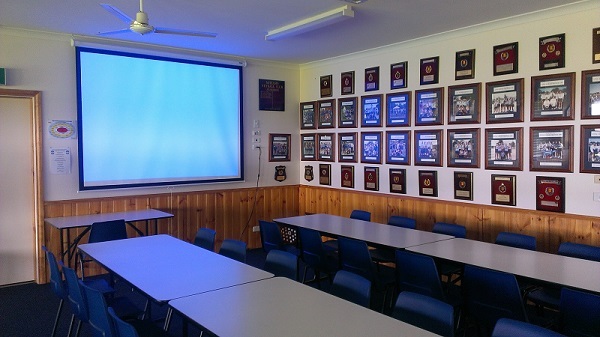 Mitiamo Football and Netball Club Inc.
Our Social Rooms are available for hire for your next function, party, meeting or other event. The Mitiamo Football & Netball Club can provide catering services too. We have hosted weddings, funerals, AGM's, meetings and parties. If you would like to enquire or make a booking, please Contact us. 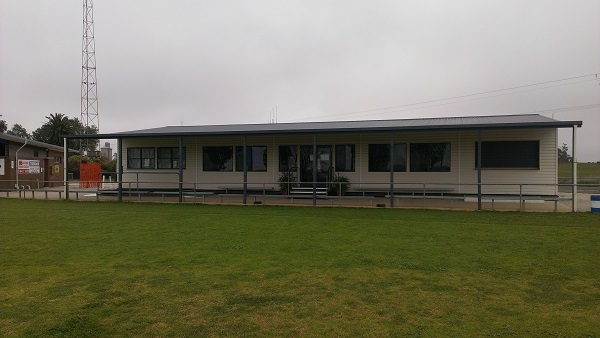 The Hynes/Marlow Pavilion - our Social rooms. The Audio/Visual system inside the social rooms. Inside the kitchen. Their is a large oven, deep fryers, dishwasher, pie-warmers, fridges and plenty of bench space.